Rebecca Traister, plus David Cay Johnston on Trump’s tax crimes and John Nichols on impeaching Kavanaugh. Rebecca Traister sees in the Kavanaugh hearings a typical case where women’s anger was marginalized or made to sound hysterical or infantile or threatening—but men’s anger was taken to be valid and righteous. 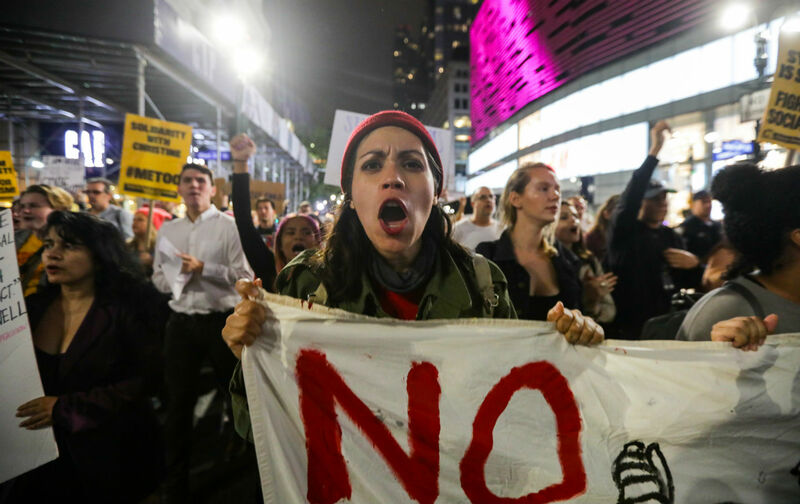 But that is changing, she argues: women’s anger increasingly is “in the beating heart of many political and social movements.” Her new book is Good and Mad: The Revolutionary Power of Women’s Anger. Also: David Cay Johnston talks about the “Mountain of Tax Cheating” by Donald Trump, as exposed in the massive New York Times report on where Trump’s money came from, and the violations of tax laws in his past. David is a Pulitzer Prize–winning reporter who has written for The New York Times and the Los Angeles Times and is now editor of DCReport.org. Plus: What the Democrats can do about newly confirmed Supreme Court Justice Brett Kavanaugh when they win the House in November and take control of the House Judiciary Committee in January: John Nichols talks about investigations that could lead to the filing of articles of impeachment.